← I’m the rusty one. Foggy morning, and warm sun later. This gave me a start this morning. It was there, on my sleeve as I started to pull my jersey on. I was immediately enchanted. What a wonderful thing to see, it made my day. He’s outside now, birds and bats permitting. Jess, a friend tells me it’s a Scoliopteryx libatrix (The Herald). They can live in ivy (which does indeed grow by my bedroom window). Possibly, it was looking for somewhere to hibernate, though it seems a bit early for that. 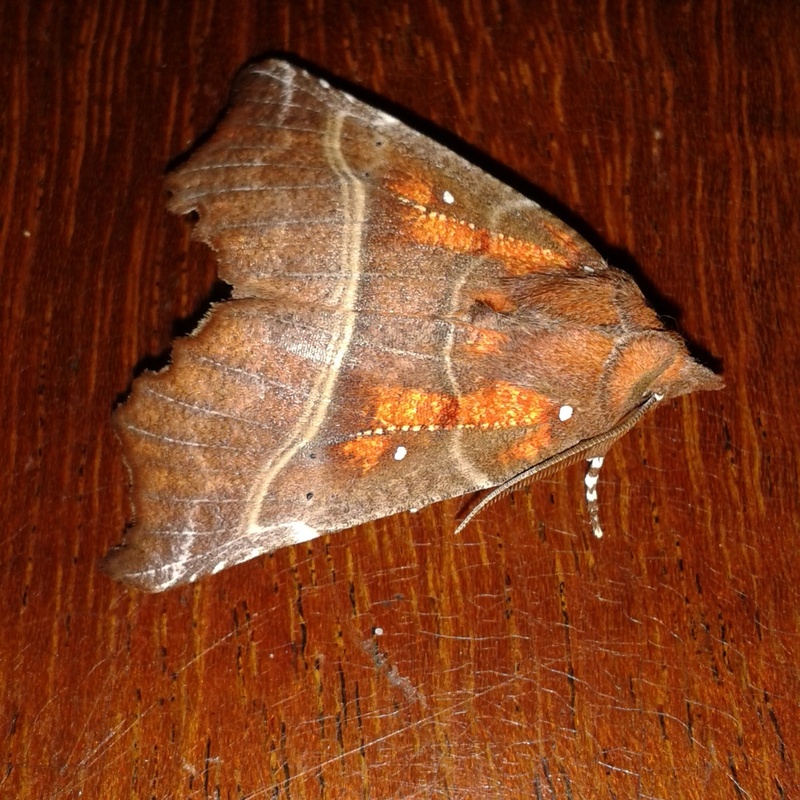 This entry was posted in Garden, Home and tagged herald moth. Bookmark the permalink.